The Polish and Ukrainian national football associations’ presidents, Grzegorz Lato and Hrihoryi Surkis, argued on Friday in Kiev that these two countries would meet the Euro 2012 deadlines. „I am fully convinced that the Ukraine will be on time and that we will be on time” said Lato after a joint press conference with Surkis. The head of the Polish Football Association visited Ukraine as the first country after his election to the position. „I am making my first steps here (as the PFA president) and the visit (to Ukraine) had to be the first, as we are organizing Euro 2012 together”, Lato stressed. He described the preparations’ progress status as “comparable” in both countries. ”The Ukrainians are more advanced in building stadium and we – in other matters, but generally we hale been following the same route” he said. At the press conference in the headquarters of the Ukrainian Football Federation Surkis and Lato referred to the statement made by the UEFA president Michel Platini, who warned last Wednesday that should any of the two countries fail to build a stadium in its capital both will lose the right to hold the tournament. ”I do not see either Poland or the Ukraine fail to construct these stadiums. Euro will take place in these two countries” said Lato. Platini put an end to all the press speculations on whether Poland could hold Euro without Ukraine, or otherwise. “No, it is not going to be like that. 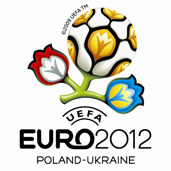 There are two countries and they together will organize 2012”, Surkis stressed. At the same time journalists were criticized for „seeking cheap sensation and manipulating opinions” of the sports officials on Euro 2012. Lato explained to the Ukrainian press that he himself was a victim of such manipulation, when, after his election as PFA president the Polish media had it that he was considering co-organization of Euro 2012 with Germany instead of the Ukraine. ”My statement was manipulated. We do need the help of the press of course, but I would like to appeal to you to be more optimistic.” Lato said. ”My job is not to implement projects, that are unlikely to succeed. Why are you ever so doubtful as to our organizational abilities”, asked Surkis. Both presidents from Poland and Ukraine ensured that the present world financial crisis will not impede the Euro 2012 preparations. They also informed that in the nearest future another five-year cooperation deal between the Ukrainian Football Federation and the PFA will be signed Ukraine a PZPN (the current one is to expire soon).